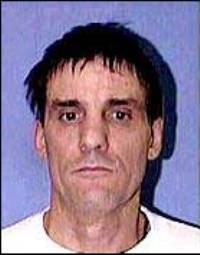 The U.S. Supreme Court blocked the execution of a killer whose lawyers argued that he is mentally ill.
Scott Louis Panetti shot his in-laws to death 15 years ago in front of his wife and young daughter. Panetti knows what he did, but believes that he is on death row because he preaches the word of God, his lawyers say. The Eighth Amendment of the U.S. Constitution bars "the execution of a person who is so lacking in rational understanding that he cannot comprehend that he is being put to death because of the crime he was convicted of committing," they said in court papers. The state of Texas said the court should reject Panetti's appeal on procedural grounds. But it also argued that the court should set a tougher standard for mental illness exceptions to capital punishment. Only if a death row inmate "lacks the capacity to recognize that his punishment both is the result of his being convicted of capital murder and will cause his death" should his execution be halted, the state said. Panetti is competent on that basis, it said. The killings took place in September 1992. A former ranch hand, Panetti had a history of mental problems before his conviction, recording 14 hospital stays over 11 years. Four courts have said he was competent when he fired his trial lawyers. A jury and two courts rejected his defense of not guilty by reason of insanity. He personally argued that only an insane person could prove the insanity defense, dressing in cowboy clothing and submitting an initial witness list that included Jesus Christ and John F. Kennedy.